Look up! Loopin’ Louie’s flying high in the sky! It’s up to you to save your chickens from his swooping stunt plane! 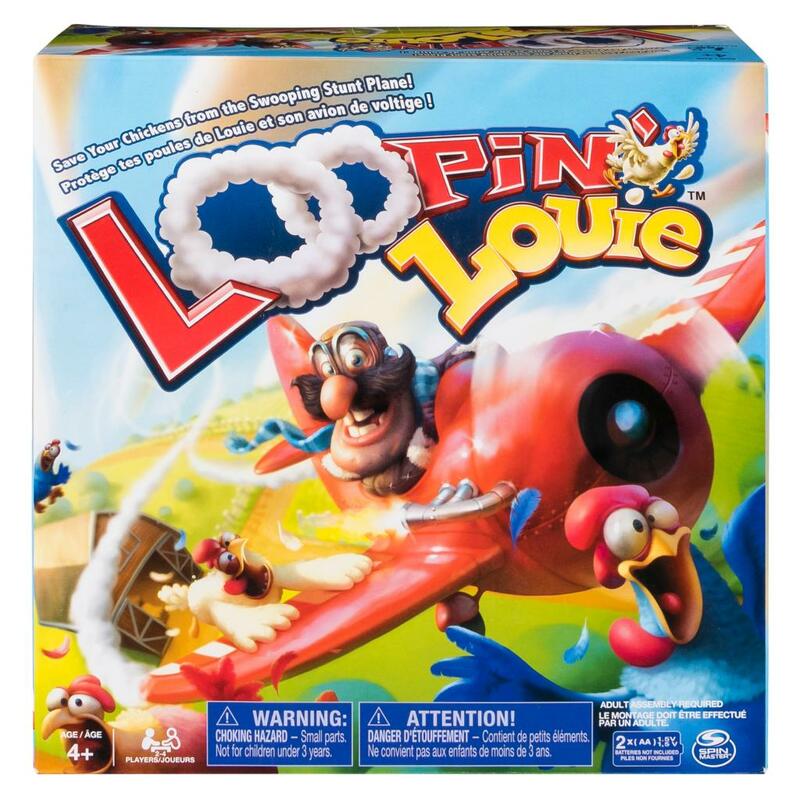 In this fast-paced and hilarious board game, four players face off to see who can keep their chickens safe from Loopin’ Louie! To set up your board game, place the base on a table, choose a paddle and slide three chicken tokens into the handle. 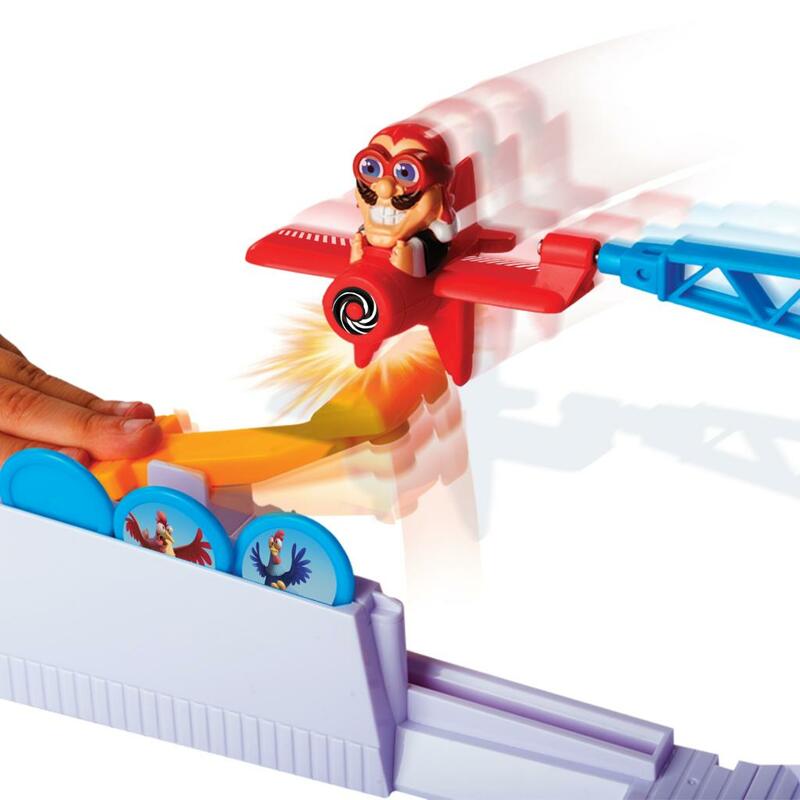 Choose between easy or hard mode, then place Loopin’ Louie’s airplane on top of the airplane arm. Ready for take-off? Switch the game on and Loopin’ Louie will careen across the board. 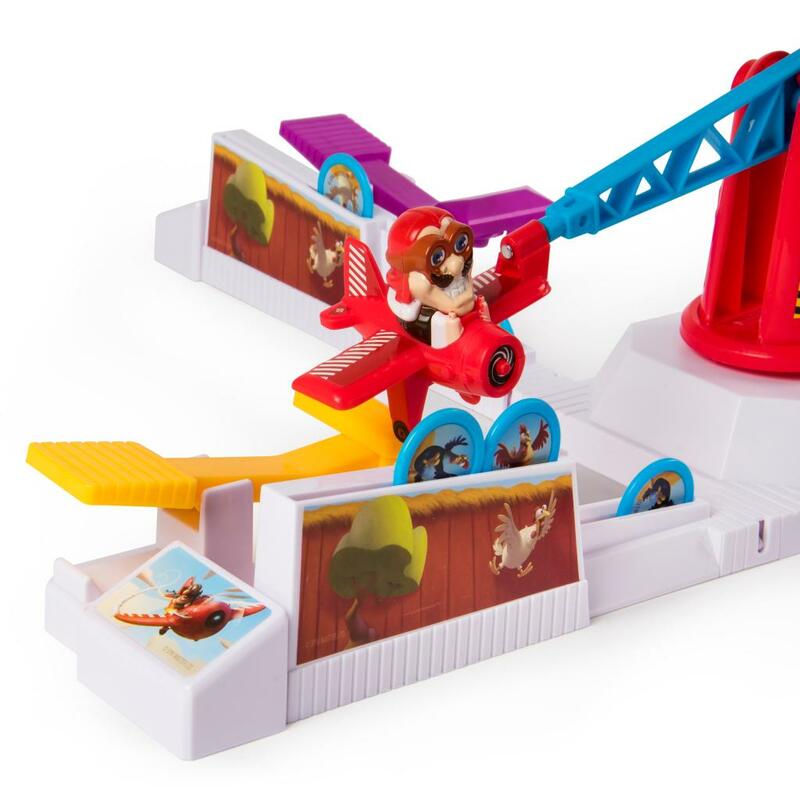 If Loopin’ Louie’s plane comes near your chickens, press the paddle to knock Louie back! Louie will dip and dive until he finally knocks a chicken off the holder into the chute below. At the end of the game, the player with the most chickens wins! This hysterical board game is a great addition to family game night. Kids can challenge parents or play against each other as they compete to win! Take fun to new heights with Loopin’ Louie! 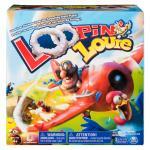 INTERACTIVE BOARD GAME: Play Loopin’ Louie: the hysterical madcap board game! 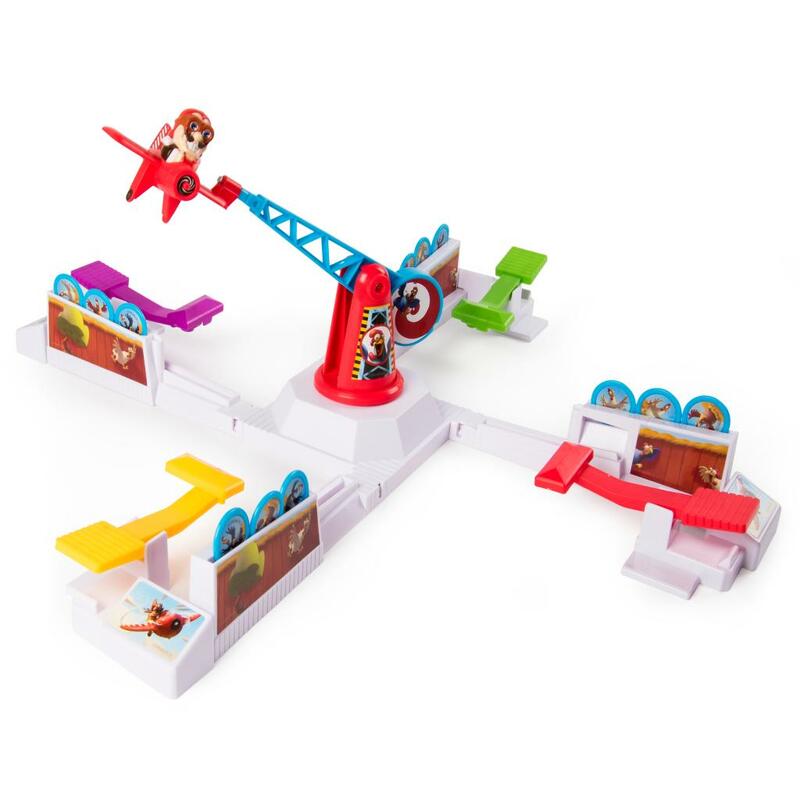 In this interactive game, players compete to save their chickens from Loopin Louie’s swooping stunt plane! 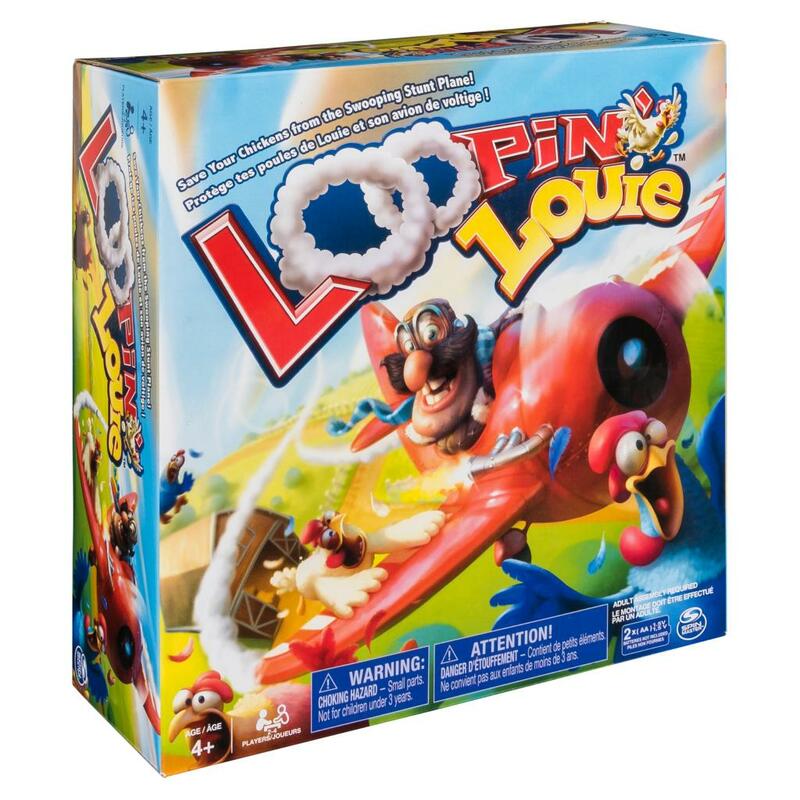 DEFEND YOUR CHICKENS: If Loopin’ Louie dives a little too close to your chickens, use your paddle to knock him back into the air! The player with the most chickens wins! 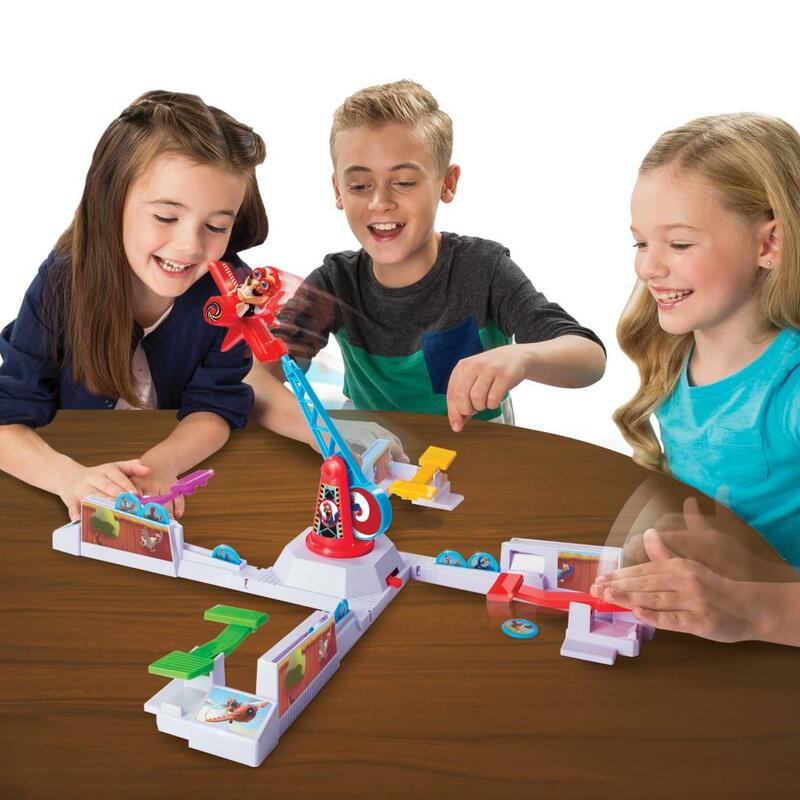 FUN BOARD GAME FOR FAMILIES AND KIDS: This hilarious game is perfect for family game night! 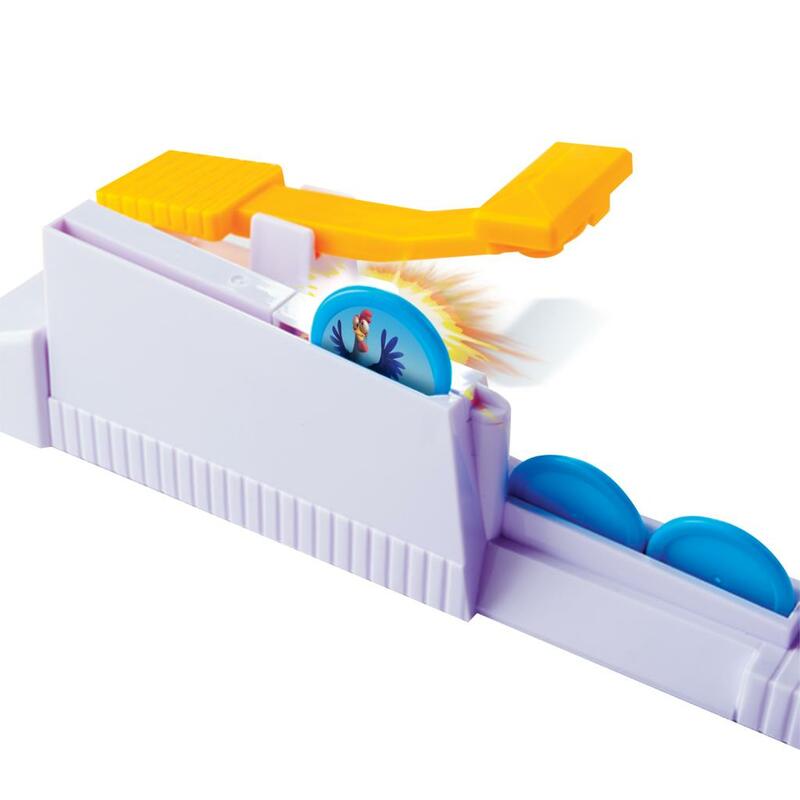 Fun for adults and kids alike, parents can face off against kids, or kids can play each other. Loopin’ Louie is a board game for kids aged 4+. For 2-4 players. 2 x AA batteries required (not included). 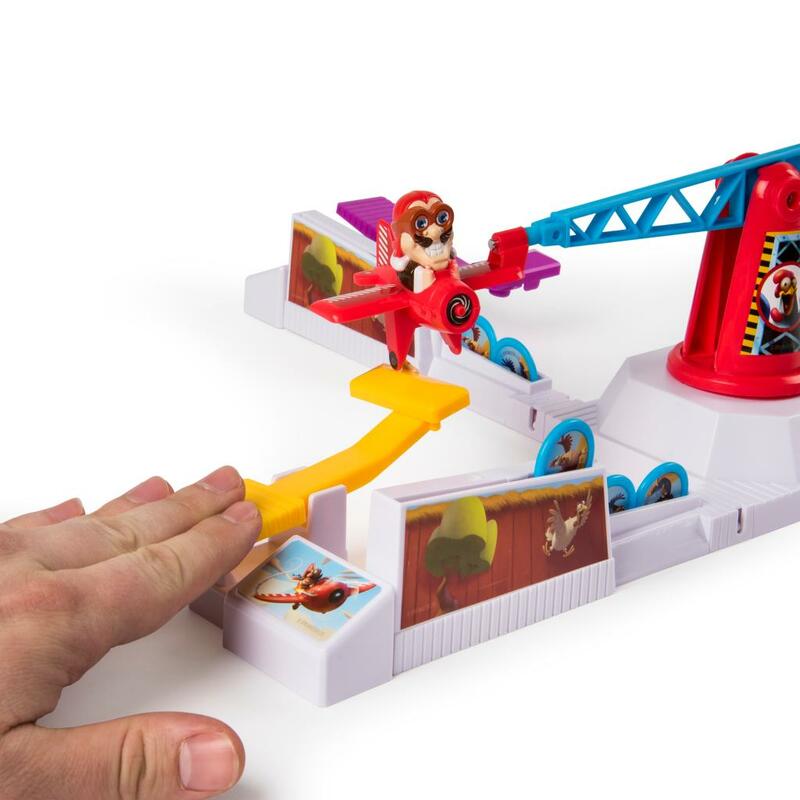 Warning: this board game contains small parts.